Through human history viruses have shown enormous epidemiological and pandemic potential as the occurrence and spread of viruses in pandemic dimensions poses a threat to the health and lives of seven billion people worldwide. Scientific evidence has associated harmful health effects to indoor air hazards recognizing the existence of a vital concern in public health sector. 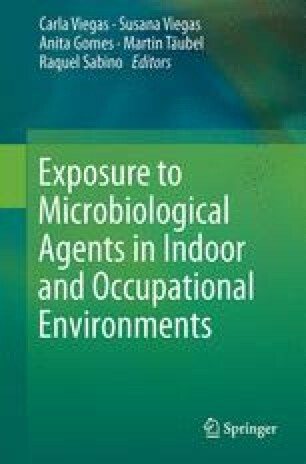 Thus the assessment of human exposure to biological aerosols and droplets indoor became an imperative requirement of investigation. Environmental bioburden assessment of viruses relies in both culture-dependent approaches that comprise classical methodologies, still prominent and vital in the field of modern biotechnology, and culture-independent approaches based on nucleic acid amplification techniques, which are considered the gold standard in clinical virology. The main factor influencing indoor microbiology is the human being and their activities. Indoor environments to be considered are those regularly occupied by humans: residences, offices, schools, industrial buildings, health care facilities, farming activities and other settings occupied all the time, or in which occupant density is high. It’s well known that approximately 60% of total human respiratory and gastrointestinal infections are acquired indoor, since viruses have a rapid spread in the community and can be transmitted easily, especially in crowded and poorly ventilated environments, causing high morbidity and decline in quality of life and productivity. Studies have shown that respiratory syncytial virus, rhinovirus, metapneumovirus, influenza and parainfluenza virus, and human enterovirus infections may be associated with virus-induced asthma, leading to diseases such as pneumonia. Gastroenteritis infectious (about 30±40% of cases) is attributable to viruses. Rotavirus, Astrovirus, Norwalk-like viruses and other caliciviruses are responsible for 48% of all reported outbreaks of infectious intestinal disease. Safe working conditions are essential for healthy living, that’s why the programmes conceived as a result of strategic and preventive policy maintenance, in refrigeration and ventilation systems, are the determining factor for the control of biological pollutants. Moreover, the development of highly sensitive and specific detection and identification methodologies with capacity to be used in diverse applications, such as diagnosis, public health risk assessment, research and for the implementation of preventive measures and protocols are imperative.